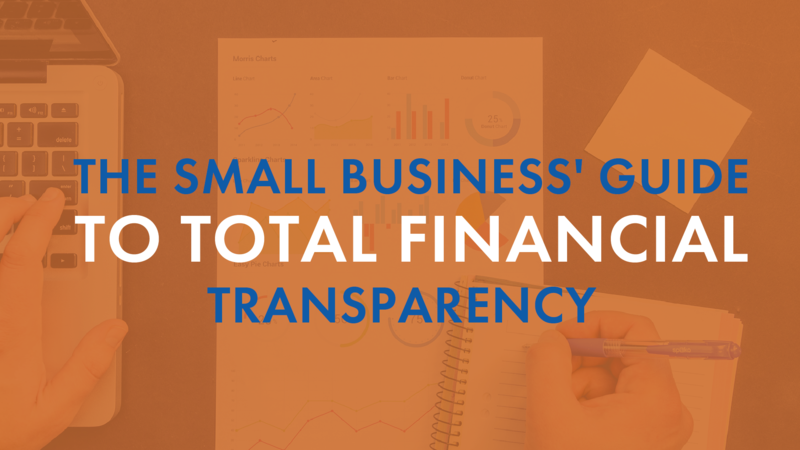 How transparent is your small business? The U.S. is seeing a strong trend toward increased financial transparency at small businesses, where traditionally only the top execs saw facts and figures about company performance. More than half of small, private companies now provide regular financial updates to most employees - while fewer than 7% did so just 5 years ago. The reasons vary from company to company, but most revolve around building trust, making people feel valuable, and celebrating improvements in company performance. Of course, transparency can be tricky. You don’t want to share too much, or share it with the wrong people. Here’s a guide to financial transparency for small businesses from your Oklahoma accountant Ascension CPA. First, you’ll need to establish what kind of financial information you’ll be sharing, and with whom. If you’re a privately-held company, you might not want your financial data to be widely known for competitive and public relations reasons. Here’s a short list of financial information many companies are openly sharing. What’s missing from this list? Employee pay. Give careful consideration before deciding to share salaries, even though it’s trendy to do so. Companies like Whole Foods and tech-sector startups are sharing employee pay, even going so far as to post it on their websites. However, they’re seeing mixed results from this strategy. Some people welcome the transparency, and others feel it’s insulting and de-motivating. In terms of who to share financial information with, keep in mind that you can’t put the genie back in the bottle. If you share it with anyone, expect it to be shared with everyone. In 5 seconds, someone can post something on Twitter for the world to see. Many companies operate on a limited two-tiered transparency model, where they choose a limited number of financial data points to share, give employees a sneak peak at them first, then release it to the media/public later. No matter what you share and who you share it with, provide explanations. Don’t just turn on the firehose of information and let everyone drown in the numbers. If you’re going to share the monthly customer churn figure, for example, share it with a paragraph about why you’ve lost some customers and gained others this month. Include a quote from the sales director about their optimism for the month to come. Describe the outlook for the year ahead. Explanations not only soothe the worries of your employees, but head off negative perceptions by the media and public. If your sales are down among local residents but skyrocketing in China, explain how this is a net gain for your company and bodes well for the future. Have you ever heard the old advice, “Praise in public, chastise in private”? That applies here. Never use company financials to threaten or embarrass your employees publicly. If you’ve had a terrible financial month, be honest but don’t place blame on individual people. Instead, share financials through the lens of teamwork. Speak in “we” terms, to show camaraderie, even in the face of bad financial news. Look ahead to the next month and cheer on your team. And when things are good, go big on the celebration. Spread the news far and wide. Highlight as many employee superstars as possible. These celebrations will nourish your employees - and clients, and investors - through other months when the news might not be as good. Finally, ensure all your financial information - shared and un-shared - is protected in a secure vault of software, hardware, and data storage. Maintain high data security and internal financial controls, so financial information will never seep out when you don’t expect it. One of the best ways to maintain financial transparency while preserving data security is to use an outside provider for your accounting. This prevents unauthorized access, while allowing you to pick and choose the financial information you share. Ascension CPAs & Consultants provides world-class financial security combined with personalized service. We offer an all-in-one flat monthly fee structure that provides total cost clarity for your business.